The Operations Chiefs section of the Marin County Fire Chiefs Association, story coming. One of the annual planning meetings for the Operations Chiefs section of MCFCA. 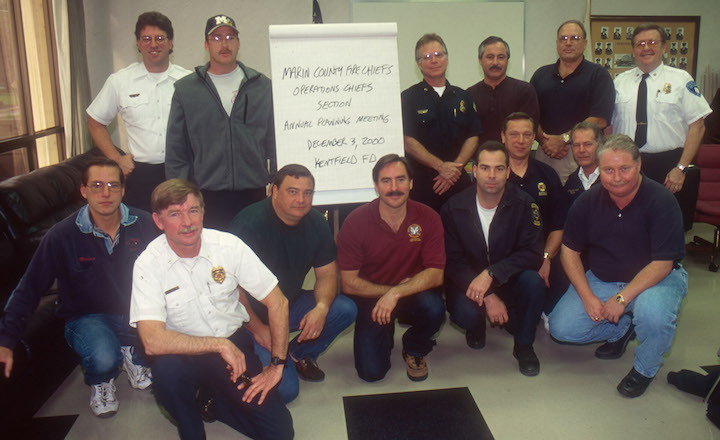 This one was held at Kentfield FPD on December 3, 2000.